It all started a few months ago while watching the evening news. 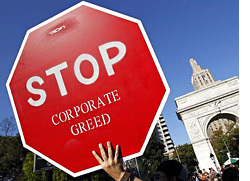 Angry protesters were occupying Wall Street's Zuccotti Park. "A ratty mob of hippy slackers," I surmised. But as the story played out, I got to thinking. Perhaps these rabble-rousers had a point. Maybe greedy 1-per-centers are to blame for economic inequity, crippling unemployment and global strife. I began to think about my daily consumption patterns and how they were linked to socially irresponsible companies and governments. And I decided to take a stand. To embrace a more ethical lifestyle. To no longer support institutions that lacked morals and principles. My first act of rebellion was to go on a hunger strike of sorts. And I immediately ceased eating Kraft Macaroni & Cheese. You see, Kraft is a subsidiary of Altria (formerly Phillip Morris), the world's largest tobacco company. Therefore, I've also banned from my diet all Altria products -- including Oreos, Philadelphia Cream Cheese, Jell-O, and Cocoa Pebbles. Not to mention Maxwell House coffee. But if I did drink Maxwell House coffee, I would not add milk. 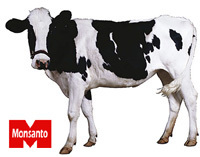 That's because I'm boycotting Monsanto, which supplies dairy farms with genetically engineered bovine growth hormones. But my beef with food doesn't stop there. I won't eat lamb vidaloo because India refuses to take part in the Nuclear Non-Proliferation Treaty. I won't eat spicy yellowtail sushi because the Japanese continue to hunt whales for profit. And I won't eat spaghetti with meatballs because of the way Italy's chauvinistic ex-prime minister, Silvio Berlusconi demeans women. So I've taken to eating only locally-grown foods, making my own sandwiches, and brown-bagging them to work. But I refuse to place my lunch in Ziploc bags. That's because they were developed by Dow -- one of the world's largest producers of toxic pesticides. Dow also happens to make silicone breast implants. Hey, I dig big-breasted broads just as much as the next guy. But when a fake pair enter my line of vision, I stick to my principles and just look away. What's more, Dow's implants have been known to leak. Kind of makes me wonder if I can I trust my tofu sandwiches to those Ziploc bags. Of course, I've given up my pollution belching car. But if I did have a car, I would not fill it up with Exxon gas. In their search for fuel, Exxon detonated underwater explosions, disturbing whale feeding grounds. So, I've taken to walking, but not in my Nikes, as I will not wear products that were made by third-world sweatshop laborers earning pennies per day. Those sneakers were purchased with my Bank of America debit card. But no more. I've cut it up in response to the bank's role in our country's economic meltdown. Not to mention the five dollar monthly debit card fee they dared to impose. I'd call the bank to register my complaint. But I can't. You see, I tossed my iPhone in the trash because Apple manufactures them in China, a country notorious for human rights violations. You should know that as I wrote this piece, I sat in the dark. 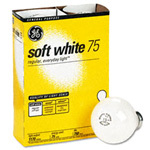 You guessed it -- I'm boycotting light bulbs. You see, for 30 years General Electric dumped PCBs into New York's Hudson River, then refused to clean up their toxic mess. So I refuse to have anything to do with GE -- or NBC -- the television network they own. Which means I will no longer watch The Apprentice, 30 Rock, Saturday Night Live, Jay Leno or Brian Williams. When it comes to morality in media, I believe NBC is The Biggest Loser! As you can see, it's not easy being a conscientious 99 per-center in a world where you can hardly get out of bed without contributing to corporate misconduct. Speaking of bed, hmmm ... I wonder if my pillows are made of endangered goose down?